Craig travelled to Gen Con, and on the Monday evening, after the madness was over, he & Ben had a chat about what it was like. 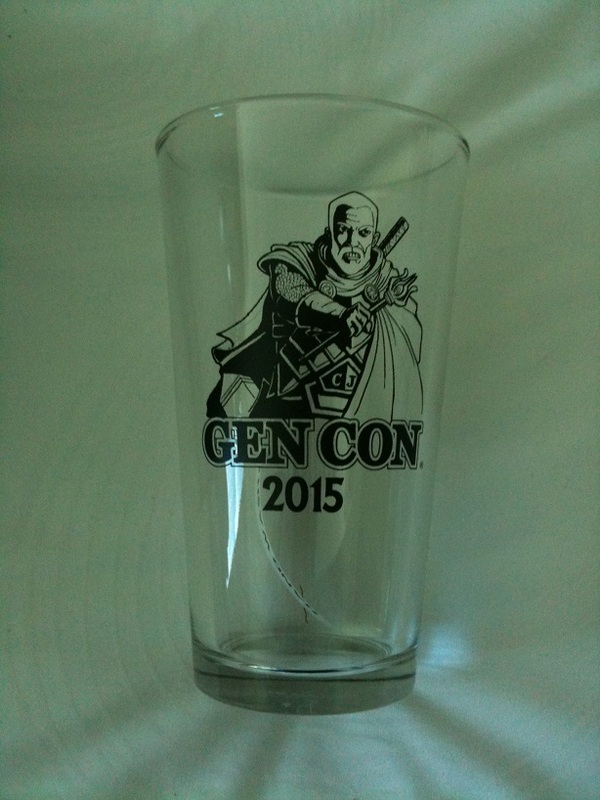 Glad you had a great time at GenCon. It’s too bad I couldn’t have made it this year, we could have done a game together or two. I have Atomic Robo RPG as well, and it’s a bit intimidating in what it sets out to do. I need to do more reading up on it to make sure I have it down before trying to run it. Inspetcres is a great system. We ran a GMless version where we played James Bond. Bond was a NPC and one side played MI6 and the other played Spectre. We manipulated Bond across multiple scenes and had a great time! Aliens have landed at GenCon and only the stalwart gamers can defeat them! I’m planning to be at Gen Con 2016, and to keep going as long as I’m able, so the next time we’re both there, full steam ahead for gaming! And as for the game pitch, I _did_ play a game of Zombie Cinema back in 2013, set at Gen Con, where zombies attacked, so there’s not much of a stretch needed to make that an Alien Attack scenario.